Johannesburg, Jan 31 - India cricket team captain Mahendra Singh Dhoni has insisted that his team would be ready and come back stronger for the defence of their World Cup title, despite ending a miserable tour of Australia without securing a single win. India bowed out of the ODI tri-series with another poor batting effort, which fated them to defeat in their clash with England at the WACA Ground in Perth. Sent in to bat, India were dismissed for 200 and although England stumbled early, they recovered to edge their way to 201 for seven and win with 19 balls to spare. England would now face Australia in Sunday's final at the same venue. Ranchi/Vadodara, Jan. 1 - Fans of Indian cricket team captain Mahendra Singh Dhoni took to streets in Ranchi and Vadodara yesterday to urge him to reconsider his decision to retire from Test cricket.
" 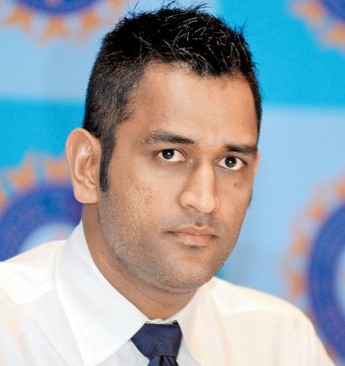 Mahendra Singh Dhoni is not only Jharkhand's, but also India's pride. The players of the Jharkhand State Disabled Cricket Association and other people here are demanding that he change his decision. 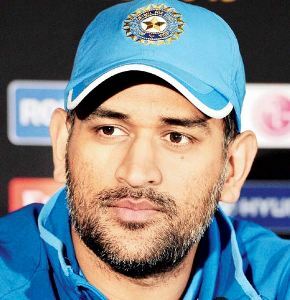 It is difficult to even think of cricket without him," said Hiten Bharadwaj a fan of Dhoni's who is based in Ranchi. London, Dec 31 - Twitter was bombarded with tweets from cricketers as they praised Indian skipper Mahendra Singh Dhoni on his retirement from Test cricket following the Boxing Day Test in Melbourne. After the Board of Control for Cricket in India announced the news of Dhoni's retirement from Test cricket on its Twitter account, fans immediately reacted on Twitter with shock. However, Indian cricketers lauded their skipper for the bold decision. 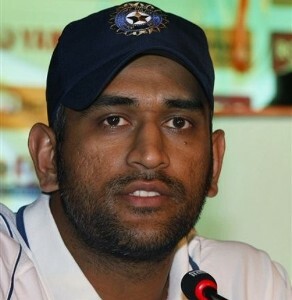 Mumbai, Nov 10 : Skipper M S Dhoni has been rested for the remaining two one-day internationals against Sri Lanka and the first Test against Australia to be played in Brisbane to recover from a right wrist injury. Virat Kohli will lead the side in his absence. 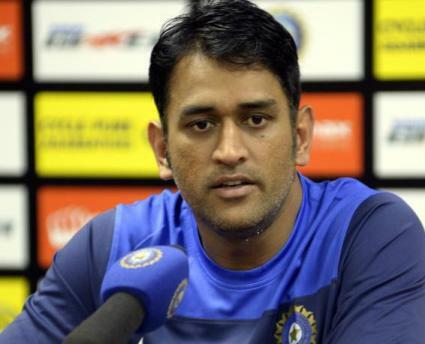 Dhoni had earlier opted out of the first three games of the five-match series against Sri Lanka, citing the need for a break to freshen up ahead of the tour of Australia and the World Cup. Meanwhile, the selectors have named Karnataka batsman K L Rahul and Railways leg spinner Karn Sharma and Uttar Pradesh south paw Suresh Raina in the 19-member Test squad. 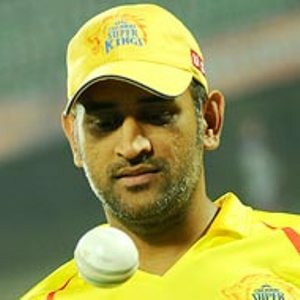 Bangalore : His team might have registered a crushing 54-run win over Dolphins here but Chennai Super Kings skipper Mahendra Singh Dhoni on Monday indicated that it would need to improve its bowling to win the Oppo Champions League Twenty20. "If you want to win tournaments you have to come up with better performances, our batsmen won't score 240 every time," Dhoni said in the presentation ceremony at the Chinnaswamy Stadium. 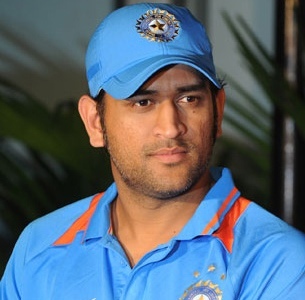 New Delhi: Former India captain Rahul Dravid said that there is no need to replace Mahendra Singh Dhoni as suggested by former Australian skipper Ian Chappell because the team has "progressed" well under the able leadership of the Jharkhand wicketkeeper-batsman. 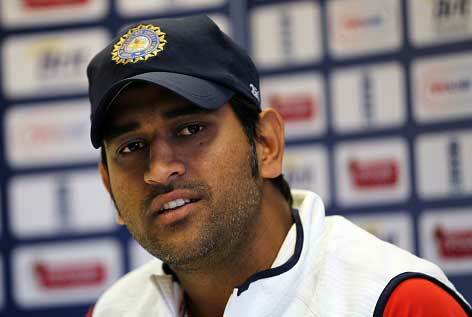 "Dhoni is the right man to take India forward as we have been making progress and going forward under him. A lot of people keep complaining about the past losses in England and Australia (2011-12). But now he has a young team and is doing a good job. As far as Virat (Kohli) is concerned, his time will come," Dravid told mediapersons via conference call from London. 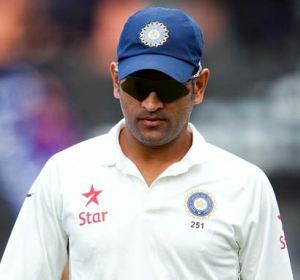 Johannesburg, July 15 : Indian captain Mahendra Singh Dhoni has insisted that he wants the squad exposed to the English conditions during the remainder of their five-match series against England after the first Test ended in a draw. The tourists ground out a draw, on a pitch that was arguably slower and lower than many Indian surfaces, against England in the first Test at Trent Bridge on Sunday. 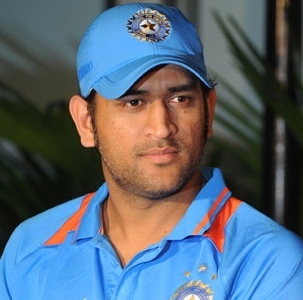 Dhoni said that he always has maintained that when one comes to a country they want to play on a wicket that is the specialty of that country, Sport24 reported.